← 3D printed response box. The future. It’s here. Posted on November 12, 2013, in Experimental techniques, Neuroimaging, Programming, Software and tagged coding, Conditional Branching, Experiments, fMRI, programming, PsychoPy, python. Bookmark the permalink. 6 Comments. Then you need to add another routine after Block1 and Block2. Let’s call it a repeater. And add loop from end of repeater to begin of first block routine. In loop’s properties add nReps 2. Other than that, its quite the same as yours with minor modifications. Little fix! 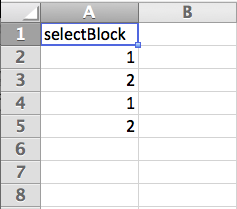 selectBlock = random.randint(1, 2) should be in Begin of routine instead, I guess. I want ty try this hack for my experiment. Just one question. 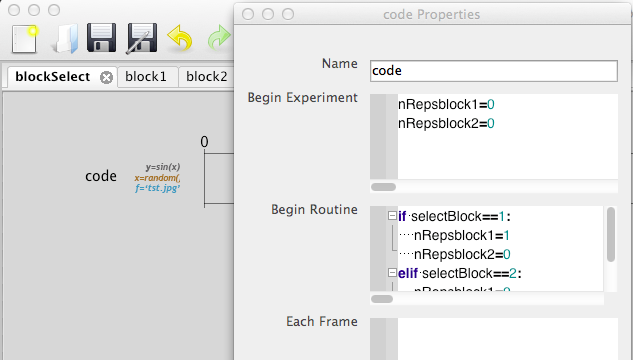 In your example the block-level loops have no condition files associated with them. But I want to present sounds, so I would like to associate the block level loop with condition files containing the sounds. When I tried this, the hack stopped working. Do you have an idea how to solve the problem? I want to try this hack for my experiment. 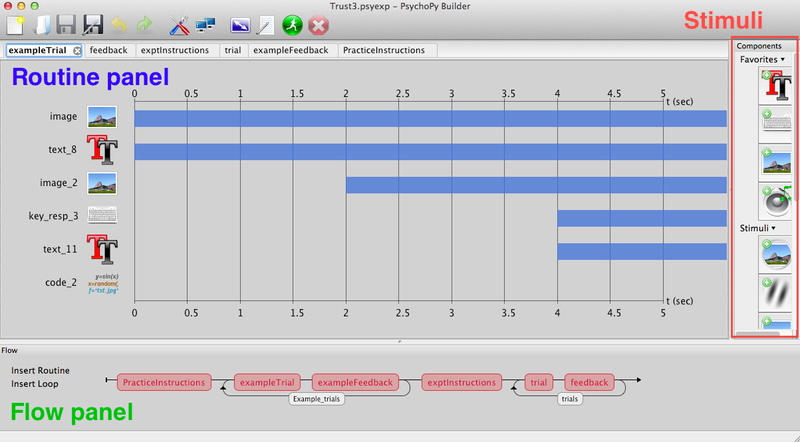 I have just one question: In your example the two block-level loops have no condition files associated with them. I need to present sounds (in random order) so I would like to associate the two block-level loops with two conditions files that contain different sounds. When I tried this the hack stopped working. Do you have an idea where the problem is? I’ve no idea I’m afraid, but send me your program and I’ll see if I can see what the problem is. Zip up everything and send it to mbwall [at] gmail [dot] com.